Marketing on a strict budget? We’ve got you covered! Investing in marketing efforts might initially seem like a costly venture. If you are on a tight budget, you might even be thinking about skipping out on these costs altogether. Having a solid marketing strategy will achieve more than gaining exposure; it will increase your brand awareness, expand your audience, and attract more loyal customers to your business. Businesses should never completely cut their marketing budgets. Instead, they should shift their focus on more cost-effective solutions to allocate their budget. The goal is to receive the highest ROI (Return On Investment), which can be accomplished using these inexpensive marketing tips! To reduce unnecessary costs from your marketing plan, take the time to discover your target consumer, the top candidate who would be interested in what you can offer them. Identify your ideal customer’s habits and interests, and deliver your sales pitch in the areas that they will be most likely to see them. Volunteer your time and get to know the people in your community who could be interested in your product or service. Consumers demand the assurance that they are spending their money at businesses with a mission and purpose. Networking is a valuable way to convey your brand image to consumers. This fosters strong, trusting relationships that will turn new customers into devoted ones. Maximize social media channels that fit your business. Select the right social media channels based off of your audience and the commodity you sell. Determining your audience will assist in selecting the right social media platforms to utilize. Younger audiences are most active on Twitter and Instagram. If you have a broader audience, Facebook is the perfect place to target both men and women of all ages. LinkedIn is where you will find business professionals, who can be targeted by the industry that they work in, and their job titles. Choosing the right channel will help you focus your energy on users who will be more apt to engage with your posts. This economical approach will decrease the amount of time you spend targeting your audience… and time is money! Just as important as selecting the right channel is the content you produce. The goal of social media marketing is to create content that will generate leads. Enticing content will influence consumers purchase decisions, without having to break your budget. Attracting social media users without paying to sponsor your posts can be attained by creating a conversation or joining an existing one. Sparking conversation with your audience about a trending topic followed by a hashtag will get your post reach and engagement, and drive traffic to your page. Rather than paying social media sites to promote your product, invest in micro-influencers (influencers with a niche following) who have followers that would be interested in your product. Influencer marketing is on the rise and is statistically proven to deliver higher ROI than other forms of marketing. Micro-influencers are a more cost-efficient means of influencer marketing because they will expect smaller payment for their contribution. Reach out and offer free services in exchange for a review or shout-out on their social media or blog. This strategy can be effective if you select the right influencers because they have already established a fanbase of individuals who trust their word. When these influencers promote brands, their fans are confident that the influencer is sending them to the right place. Great content and marketing methods are worthless if you do not maximize your search engine optimization (SEO). If your website or blog isn’t on the first page of a search engine result page, consumers are not going to recognize that you exist. Instead of hiring someone to do your SEO, try doing it yourself. Ensure that you have a strong SEO strategy by assigning relevant keywords to your web content and proper meta descriptions that will allow search engines to recognize the purpose of your website. Think about the keywords and phrases that your ideal customer would search for in relation to your website. Embedding these words and phrases into your site will solidify your spot on the top of search engine results. The readability of your site is another important element that you need to ensure works well on both desktops and mobile devices. If users cannot easily view your website, they will leave before continuing to read your content. With proper training, you can be a marketing expert on your own! At Pearl Marketing, we provide training and seminars to business professionals who want to learn the latest and greatest marketing tools and techniques. We work one-on-one with marketing DIYers to coach them on marketing strategies that will enhance their brand and attract more customers for their business. Our goal is to leave clients feeling empowered to manage their own marketing strategies that will drive their businesses future success. Follow us on Facebook, Twitter, Instagram, LinkedIn, and YouTube! Customer loyalty is crucial when it comes to sustaining a business and is paramount if you want to see your business grow to new heights! Customer loyalty doesn’t always happen over night and must be earned first and foremost by the value of products and services a business provides to its market. Close behind are the positive customer experiences, consistent brand engagement, and customer appreciation. Below, we’ll dive in to three tips about how your marketing efforts can help you with these points above and will encourage any one-time customers or clients to keep coming back for more! To receive more marketing insight from us on this matter, or marketing matters like it, consider our consulting services. Don’t we all want to feel appreciated? Your customers certainly do! Creating ways to show appreciation to your customers regularly is a surefire way to make long-term relationships with your clients/customers. Creating a long-term loyalty program that suits your business is a great way to get customers to return to your business. If you’re a small business and have the opportunity to make it more personal, like dropping off small gifts around the holidays, or sending personalized cards, then go for it! If you’re a bigger business with hundreds of clients (or not), then utilizing digital means of showing customer appreciation is the way to go (email marketing, social media). Providing customers with a special discount, a seasonal coupon, or something of the like will encourage them to stick with your brand because it shows it’s not just about the business, but about the relationship too. We believe if you have this attitude, you’ll be seeing your customers and clients for years to come! Don’t underestimate the power of blogging and blogging regularly. Blogging is a great way to create community around your brand within the industry your business is a part of. It is also a way to become the expert in that industry for your customers. For example, if you own a flower shop, your blog is going to post consistent blogs about the flowers in season, how to properly maintain certain flowers for longevity, how your business makes the perfect floral arrangement, and so on. When your target audience sees that they can read expert advice and information about their interest in flowers, they will begin going to your blog for the latest updates and begin seeing your business as their “go to” business for all things flowers. Blogging builds trust with customers and gives them something that they can benefit from. You can start blogging about your business and industry on WordPress. unique brand in the forefront of their minds, you will want to use a marketing tool that allows you to engage with your customers directly. A personalized email newsletter even just once a month goes a long way. Depending upon your industry, content, and special offers that you can provide, businesses can send out email blasts anywhere from once a week to a once a month newsletter. You just need to make sure your content is new, relevant, and engaging in each email, or people will start to feel like your business is inundating their inboxes with emails and will then unsubscribe. Provide your subscribers with relevant industry information, helpful insight, tips, as well as incentives they wouldn’t receive elsewhere. This also helps to cultivate a community within your brand as customers/clients begin to expect and look forward to your email each week/month. Email Marketing platforms like Active Campaign& Constant Contact are a great place to start! Whether you’re a small business owner who is looking for on-going marketing advice that’s only a phone call away, or a large corporation that is in need of annual trainings and seminars for their employees and marketing personnel, Pearl Marketing is there to guide, mentor, and provide the knowledge & tools that will lead to YOUR marketing success! With the launch of Pearl Marketing Academy, which will provide online courses for business professionals that would like to learn at their own pace and gain expert marketing knowledge, we are asking what course subjects you would be interested in learning in regard to marketing. Thank you! Pearl Marketing is a marketing consulting agency that educates, advises and manages personalized brand and marketing strategies. Our team of marketing experts serve as an extension of your company. At the core of success is a collaboration between Pearl and your company to develop and execute strategies to reach and retain your ideal customers. Every sustainable business will change and rebrand throughout the years. It’s what keeps your business growing and improving. Whether it’s internally through the business plan and the products and services, or externally through the branding and logo design, change in your business is inevitable if you want it to stay relevant and provide consumers with something of current value. Staying up to speed with the trends and technologies of your target audience is important, and coming up with new ways to engage and share your business’s messaging is crucial. Major corporations that we all know and have seen have decades of business success and relevance, like Pepsi and Apple for example, know this. Even those famous golden arches have changed and modernized over time. If your business or company is stagnant, or seeing a decline in sales, consumer interest, brand recognition, or online traffic and engagement, perhaps it’s time to…..CHANGE. Changing your business direction and revamping your brand does not mean you have failed. It means you’re being a wise business owner and adapting to changes that need to be made. If you are a business owner that found your way to our blog, we want to encourage you through this post. If you are an employee of a company looking for new ideas, or a person thinking about starting a business, we want to provide you with meaningful and beneficial insight on where to start developing your brand. In this blog post we’re speaking from experience, as well as from our knowledge as marketing consultants. Our company, Pearl Marketing, is in the midst of a rebrand itself. We’ve changed our company name from Pearl Marketing “& Design” to reflect the new direction and focus the company is taking to bring the most value to our clients and increase employee productivity. Our goal as a marketing company is to increase our clients’ return on their marketing investment (ROI) and allow business owners to confidently work IN their business knowing there are experts working ON their business. One way that helps us recognize the need to define and refocus our brand is through running a brand audit! Brand audits allow you to reflect on your business’s internal and external attributes, values, and goals and how well those have translated to employees (internal) and logo, marketing collateral, social media messaging and website (external). Organizing your business’s current strengths, weaknesses, opportunities, and threats (SWOT analysis) helps you to better understand what you should focus on, what you can improve upon, and what is or is not going to help your business grow. It also helps you to evaluate the current market your business brings value to in the way of competition and helps you understand the changing trends of your target audience. Knowing how to set your business’s brand apart from your competition and reach your target audience effectively is key, and over time what was understood and worked in the past might not work in the present. Brand audits also help you organize the important elements of brand representation that you will update, like a defined brand statement, slogan, catch phrase, and elevator pitches, an eye catching logo, and a refreshed, user-friendly website. Preparation and follow through is key. While your new and improved brand is coming together, we suggest preparing your current audience and clients for the change. Be sure to use your social media, your website, your email newsletters, any blogs, and press releases to avoid brand confusion BEFORE you incorporate your rebrand. This also creates excitement and hype around your business or company, so use this time to your advantage! Once you have launched your new brand, be sure to be consistent with the changes made. If you change your business name and update your logo, make sure your social media pages, website pages, etc. are updated to reflect these changes, or people will become confused and won’t know what to call you, or how to search for you online. It’s important not to overlook a single spot where your brand may be represented online or in print, including the metadata associated with your website (metadata = how people find your website on search engines like Google). You don’t have to do it all yourself! Hiring a marketing coach or consultant during this time to stay on top of these aspects of rebranding and to ensure the audit is done right is another recommendation of ours. Partnering with a relationship marketing company, like Pearl Marketing, strives to make sure you are maximizing your business’s brand potential. Pearl Marketing can run the brand audit for you and walk you through it step by step so the process is understood and completed effectively. We also take care of the redesign elements that come out of a brand audit, like an updated logo and website redesign. Once the audit is processed, we can guide you through the transition – the before and after relaunch – to make sure the new brand is incorporated seamlessly and without any brand confusion. Consumers have now come to expect businesses to reach out to them with personalized messages based on their interests. A successful rebrand will have a plan in place through lead generation that will provide consumers with the information they want and the business with a standardized process to nurture those relationships. Your beautiful new brand won’t be effective if this is not understood and followed through with. The reasons above are why Pearl Marketing works to implement creative messaging that captures consumer attention, and we strive to educate our clients on search engine optimization (SEO), which is a way to make sure your rebrand is reaching your target audience. Our marketing coach and consulting services help businesses to run effective campaigns and advise on proper lead generation tools. This leads to an increase in brand awareness and keeps messaging consistent across channels while nurturing leads that turn into sales or new clients. From one business to another, don’t discount how far you’ve come and throw in the towel. Just get creative and get to changing/rebranding! Pearl Marketing is here to help, so if you need a hand, just let us know! To receive expert coaching and consulting services on rebranding, brand strategy, and lead generation, contact us at 603-732-9070, or email info@pearlmarketing.com. Follow us on Facebook, Instagram, Twitter, and LinkedIn for updates and more insight. Visit our website at www.pearlmarketing.com. 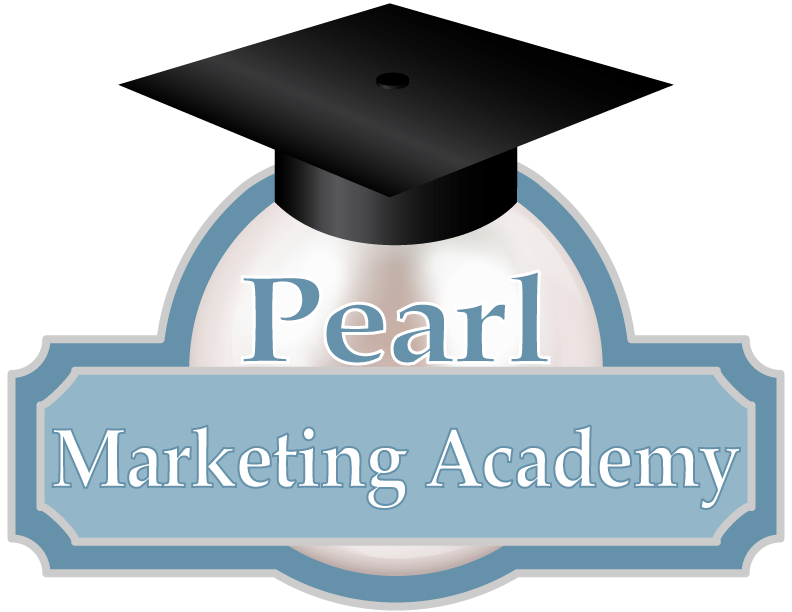 Stay tuned for more info about Pearl Marketing Academy, which will provide business professionals with a complete education and training experience focused on marketing fundamentals, lead generation, brand management, and highly developed skills for any social media platform through seminars, trainings, and online courses. The industry of digital marketing has evolved into more than the use of the Internet and technology to aid ‘modern marketing’. It has grown into a confusing jumble of technical jargon of various meanings by professionals and academics. One common phrase that is tossed around is SEO. SEO stands for ‘search engine optimization’ and is the process of getting traffic from free search results, otherwise known as ‘organic search results’. SEO is important to growing a company’s brand presence because Google alone has market dominance over over search engines, totaling 74.54% of the market in 2017 and 3.5 billion searches a day. That totals to 1.2 trillion searches per year worldwide. And this number is expected to grow. These numbers increase opportunity for brand awareness, but also competition in validating a spot in the top searches. The challenge is figuring out the optimal way of increasing online visibility of a web page in the search engine’s unpaid results. According to Search Engine Watch, there are four pillars of SEO Management to successfully target your audience. Knowing what topics your target audience is searching for is crucial in the beginning stages of SEO optimization. For SEO management it is important that your content is ranking high, but more importantly outranking your competition. This is why it is important to recognize your company’s competitive advantage against other brands. Using the right keywords (more of the marketing jargon) is essential to providing material to your clients that they will want to read. The more clicks content receives, the higher it will be pushed up in the ranks. It is important to create unique content catered to your industry. The analytics that are behind all of this cultivated data is the key to unlocking your future campaign strategy. It is vital to track each stage of your campaign because you want to adjust your strategy each time to move forward in your SEO investment rather than staying stagnant. Does this seem overwhelming and a lot to handle? SEO Managers are being equipped into large and medium sized companies due to all the varying demands that come from developing campaigns and tracking them. For smaller companies though, this is not always feasible to hire a salaried position for running SEO optimization. Lead generation is just one of the many aspects that Pearl Marketing Design incorporates in their business. A marketing agency to manage effective brand and marketing strategies is generally the best option for small to medium sized companies looking for an alternative to individual hires to run their campaigns. Lead Generation: How Does it Work? Lead generation. You know you need it for marketing your business but where do you start? Here’s the process from start to finish from the marketing experts at Pearl Marketing & Design. The first step of any successful lead generation campaign includes setting up Marketing Automation tools and integrating them into your Customer Relationship Management (CRM) platform. Following these steps you will create and schedule lead generation forms, landing pages, and emails, and automatically push any acquired leads from your forms to your CRM, such as Salesforce, Hubspot, or SharpSpring. Demand generation marketing campaigns do just that—create a demand and buzz for your product or services. Typically geared to people who don’t know anything, yet, about the product or services. This strategy creates awareness with approaches such as paid search and social ads (Adwords, Facebook, Instagram), sending an email blast to a purchased list, direct mail, and print ads. 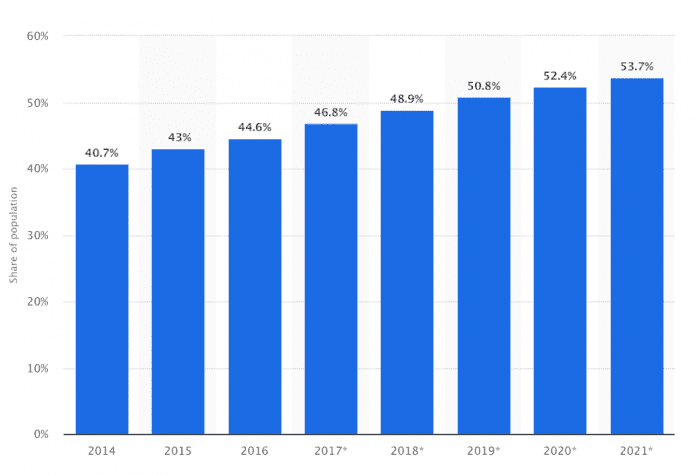 This type of marketing and lead generation is earned attention using tactics such as blogging, opt-in email automation, social media engagement, Search Engine Optimization (SEO) and creating premium gated content like eBooks, infographics, videos, and webinars. Each of these marketing strategies uses a call-to-action and landing page to capture leads. These tactics all serve your product or service’s visibility when new customers search for content related to your brand and encourage them to connect or take an action. The next step in lead gathering includes building landing pages and forms that capture prospects’ contact information. Lead capture forms can be built into your website, email automations and paid campaigns. The data easily flows into your CRM. Using your marketing automation tools, set up workflows that categorize leads and segments them into lists or categories you assign. These lists can then be used to nurture and engage leads with relevant content, targeted email communication, and personalized offers. Use negative scoring to define a lead as a poor fit, such as competitor company, not opening emails or not clicking through to content, low budgets or non-company email address. Now that you’ve got the leads, monitor and influence their progress through the sales funnel by offering them personalized, relevant content based on their persona and activity. Content can be sent via personalized email drip campaign or by retargeting ads that follow them around the websites. Did someone visit your website or landing page and left without performing an action? Get them back with retargeting ads. These ads show up as customers visit other sites on the Internet based on their previous contact and encouraging them to interact with you again. Retargeting can be list-based or pixel based. Use workflows to automatically move leads to your sales team and assign them to the appropriate reps when they reach lead scoring thresholds and trigger specific behaviors, such as filling out a form for a free trial or demonstration. Sales reps will receive notifications that they have new leads to nurture. Once leads are assigned to your sales team and are officially in the sales funnel, each sales rep updates the CRM platform with the lead progress, notes and communications with their company, and expected closing information. You can also set up automated notifications to remind your sales reps to follow up with their leads and customers. Once a lead is completed, add them to a targeted campaign to send them personalized content based on their needs and support your sales team to help them close the deal! Start Your Own Lead Generation Strategy Today! Ready to talk to the team at Pearl Marketing & Design about your marketing strategy? Contact us today by filling out this form to discuss how we can help implement lead generation into your marketing plan. Your brand is our business and we are committed to achieving your goals together!